Bulk SMS App for Android mobile provides facility to broadcast SMS to individuals or list of phone numbers from PC using android mobile phone. 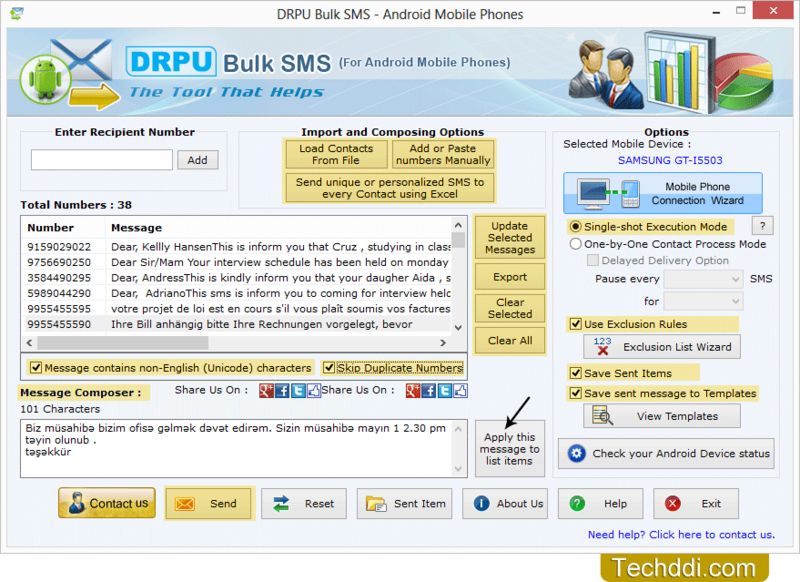 Bulk SMS tool for android provide facility to save sent messages in template form. Software allows users to forward text messages that contain English and Non-English (Unicode) characters.